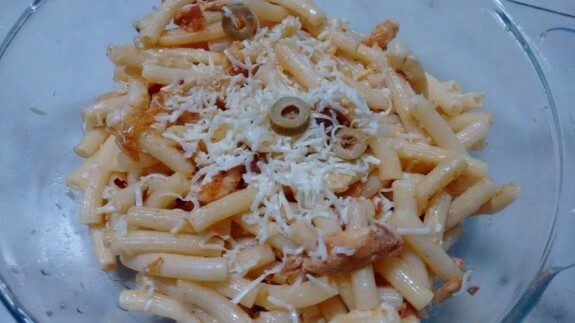 Chicken and lemon together have a great taste together and when it is adding in Pasta it will give a delicious taste with the touch of cream and cheese. 1. Heat olive oil in a pan. 2. Add chopped garlic and sauté it. Now, add crushed red chillies and chicken and sauté it for 1-2 minutes in high heat. 3. Now, add salt and pasta and toss everything well. 4. Now reduce the lame and add olives and fresh cream and mix it well. Cook for 1-2 minutes. 5. Add lemon juice and Parmesan cheese and mix everything well. Turn of the heat. 6. Serve it in a bowl and garnish it with grated cheese and olives on top.